Each time the sun moves into a new sign, make a To Do list that fits the sign and house the sun is transiting. 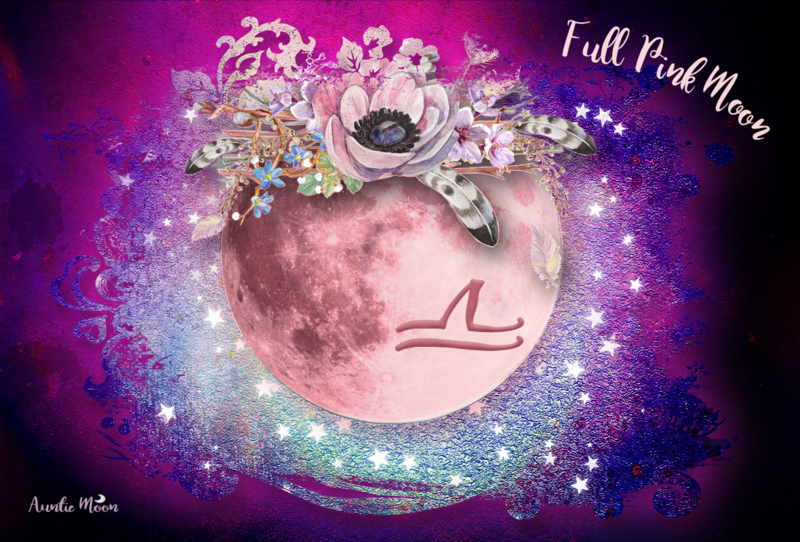 Here are some suggestions for your Taurus list, which you can refer to any time the Moon transits Taurus ~ especially at the New Moon in Taurus. If that sounds a bit like a Scorpio activity, think again. Taurus lies across the wheel from Scorpio, so they represent two opposing sides of the same idea. Scorpio is the home of the dead. Taurus is home to life! After the initial rush of Aries and the Spring burgeoning, Taurus arrives on the scene in a fully lush display of new and potent life. These are blossom days. It wants no hints of the dead lying around. Got a dead plant in the garden? Dig it up and throw it out. Are you wearing an old dilapidated pair of pants or a pair of shoes that have seen better days? Venus wouldn’t be caught dead in them. These are trash pile days, when everything that isn’t salvageable or recyclable has got to go. Taurus has no interest in the dead unless it’s buried in the earth ~ fodder to support new life. This is the time of year when Venus is in her prime ~ gorgeously begowned in an emerald robe, a crown of flowers in her hair ~ a testament to the best of life, pumped and preened and ready for a good rutting. This is Venus in her guise as seductress, knowing full well what it will take to tempt the one she has her eye on and gain the treasures that this easy mark will be more than willing to lay at her feet. That seduction always starts in the eyes of her intended. Beauty is in the eye of the beholder, and Venus teaches us to use it as a first line of offense ~ a calculated and cunning shot right to the bull’s-eye. Previous postNew Moon in Aries ~ Spirit! Next postMoon in Aquarius and Mercury Retrograde: A Good Time to Download Computer Programs? 4. Start a savings account for a specific luxury item – TRAVEL??? YEAH BUDDY! 7. Take up strength training – GOING BACK TO THE GYM THE FIRST WEEK OF MAY! 11. Fully embrace and protect your values and valuables – WILL DO! Thank you for this list … it’s helpful! Looks like the Taurus list is working for you! That’s super. How very cool to have rehearsal today. I always loved rehearsal, even more than performance. Yes same here re performance and rehearsals. We’ve all got Taurus and Venus in our charts, and it’s working for you. Venus adores her earthy home. She’s a very different character in Taurus than she is in Libra. In Taurus, she picks the perfume she likes best and revels in it. In Libra, she might not wear it if her partner doesn’t like it. See the difference? WOW!!! yes I do … thanks for the knowledge … I really love your blogs! LOL I am still laughing about “Throw out your Dead” You know where my mind is going. I have been cleaning out the gardens and replanting, and I am now cleaning my financial house up. Then will clean up the mess it made. Going to get rid of the dead baby bird…if no one beat me to it. Yuk. I think it fell out of the tree and the cat tried to “help” it. HA! Yes, I think I know where your mind is going on that one. You are too funny. I’m Taurus Asc, and these are EXCELLENT Things do Do! They’re the sorts of things that fulfill me where I live. Another idea? Use the spent herbs from your tisanes and infusions as mulch for the garden or your houseplants. Instead of putting them in the trash, get them back in the dirt so they can be recycled! Fabulous advice, Parin!! Thanks so much for reminding us to give back to Mother Earth that which is hers. Sorry to hear that Merc is kicking up a dust storm on your ASC. I don’t know that I’ve experienced Merc retrograding on the ASC. What’s happening? I want to plant my garden but I’ll have to wait to late Taurus- it snowed yesterday! Boooooooo on the snow. I’m wishing you a beautiful first day out. It will feel soooo good. Normally I breeze right through MRx. My younger daughter was born with MRx and normally she thrives during them too. Transiting Mercury is retrograding over her natal Mercury, and retrograding over my Asc, and this has been a most difficult one for us both. Primarily it’s interpersonal issues. My mother calls me The Articulate One but these days I can’t say anything right to anybody. I mean, nothing. My Sun Sag takes over my mouth or my Scorpio Moon stings someone to death or I forget the political company I’m in or something and every bit of that has confused and angered the people around me. Some of these people have never seen me “act” like this. Right now, I guess I should be chewing cud with my mouth instead of talking. My daughter has Sun/Mercury in loose 9o conj, both in 6th House, and she’s set her utterly indomitable stubbornness against an old high school friend who also accidentally said the wrong thing. Her car broke down, she suddenly doesn’t understand her boyfriend, and she’s attracting disturbed customers in her retail job–violently disturbed and it’s happened twice since the Rx started but never before in the years she’s been in retail. Her instinct is to throw herself into her day to day routine to get past all this but it took a heart-to-heart before she was able to find the right part of her day to indulge to get stress relief. All I want to do is indulge my 10th House Venus conj MC. I’m making all sorts of fab hair and skin care things from the wild plants in my backyard–really neat stuff–but I’m afraid that if I show myself in public, I’ll open my mouth and remove all doubt, to call upon the old truism. So, I’m all dressed up with nowhere to go and my mother doesn’t understand why I won’t always take the time to look like this. She’s Gemini Asc, Mercury conj Desc. The net result is that I’m hiding in the wild plants in my backyard, thinking up new ways to privately tickle my Aquarius Venus, and trying to be quiet until this is over. Sounds like the Taurus Merc Rx might be triggering the inconjunct factor between Taurus and Sag (which you’ve normally conquered), and the fixed signs where Merc and Mars are squaring off in a little brouhaha right now. I hope you daughter has had her last encounter with that kind of customer. Thank goodness it all passes. The description of being all dressed up with nowhere to go with Merc Rx on your ASC is such a good mental picture for us to keep in mind. A RE-treat to your plants and indulging in all the fresh beauty treatments you’re coming up with sounds excellent. I’m planning on making a quick rose toner from the few roses that are already in bloom. The Rx made brief contact with my Jup/Moon conjunction and I slept for days, came up with the term “smad” (sad and mad), didn’t post anything at all, and just zoned out. A few degrees of separation marked my “awakening” and I’m much better now. Let’s throw our shoes off, make contact with the ground , chew a little cud, and…as Taurus would love so much…patiently wait it out. Thank goodness this is only 3 weeks! What I did that was Taurean: wear my favorite fabrics, let my thick wavy hair be its natural thick, wavy-almost curly fabulousness, perfume, and hot chocolate!! You did it up right, Kristy! And the hot chocolate? Perfect! A great addition. Great list! I have yet to have to tackle the strength training, which I must, must do for my decrepit old back. But I did manage to weed and feed my rose babies yesterday, which was such bliss! We do have to feed our roses. They really are just like the rose in The Little Prince. I’ve been doing a lot of puttering getting ready for Spring here. I’m having stone borders installed for my shade garden which is on a slope and rapidly moving down the hill. That’s some Taurus gardening! Those rascals won’t go anywhere! And playing with big stones is one way to get some strength training. I like your description of Venus – I’ve been feeling that way about her too. She’s strong, powerful, and she gets what she wants, no doubt about it. She’s also been gorgeous in the sky lately, almost like she’s flirting or winking at us. I meant to type “love her” and I typed “lover”. Yeah, that too. I laughed out loud at your “throwing out the dead!” Then I thought about just getting news of the sudden death of two people from my past and what I didn’t do with and for them. I’m wondering if there is a connection with that kind of news and the Sun in Taurus? Perhaps I need to do some of those things I left undone with and for people in my life right now – plant some new seeds in honor of the dead. I don’t think there’s a connection with that kind of news and Taurus. It was just peculiar timing of my post to your life, Kjai. Your idea is a good one — plant some new seeds, sow some new memories. I bartered with my teen neighbor to help me move all the trash in my house, that’s too much for me to lift, out to the dumpster, he and I talk a lot and I’m rather friendly with his family. He, a Taurus, readily agreed to help. 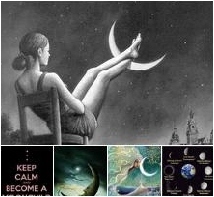 Wow – a sumptuous, sensuous set of ideas for the new moon. I’m living in Ubud Bali, and tonight I’ll be at a Kirtan sing-a-long – in short devotional singing, to sing in the new moon..dressed in emerald green, perfumed, flowers in my hair singing my heart out.